Today, I wish to talk on few investment concerns. At straight, every smoker knows that cigarette smoking is harmful to health and every drinker is aware alcohol is ruinous. We get these cautions on every packet of cigarettes or bottles of wines. But some of us consume the both or any, even after the absolute consciousness. The plain purpose of above words in such a blog, related to investment myths. Any way, we don’t have such cautions available on scrips. Majority of us treats investment advices on the way, chain smokers or heavy drinkers responds to the cautions quoted above. The path of the market seems on a slipping floor. It is not showing any boldness, responds in a very sensitive manner like a teenager. Market is reacting to every related news with an antagonistic way. 300-500 points up or down of Sensex in a single session is none a matter to us. The market is even capable to bring down or up some 2000 points in just a week or in 3-4 trading sessions. What is going on? My clients usually ask such questions. Few of them even ask for short term recommendations. But, I am not sufficiently expert to answer them in any condition. But I wish to spread few words my own. The path of the market is mysterious. I don’t think, any one can calculate the market’s future. But we still read a lot of expert views everyday in Medias. They predicts in their way, market is passing it’s own way. Majority of them come again shamelessly and blasts new bombs. I have a collection of their statements since last few years which I kept in separate folders by names, and it is really interesting when we look now. About predictions, the only possible thing is, we can reach on certain presumptions considering various aspects related to economy or market. Nothing else! On the other side, the unpredictable nature is one of the most charming side of market. Just recall the days of year 2008. Market was declining day by day on global cues. Was there any attractions? And before that, market were on mountaineering, everyone were making money but short live, and lost than they made. Simply, the real allure of the market concealed in, expecting the unexpected. Everyone here is to make good money by fastest means. I don’t know any one, who buy stocks to play with hard earned coins. A big percentage of investors enter in the market with a pre-assumption of immediate gains. But normally market sides them on the shore, like oceans do with scraps. Long term investment is an established and widely accepted strategy even if very less people follows. A very few short term/Intra day traders makes good money too, but less in size compare to the patient investment. Experts says, the current volatile market is one of the solid opportunities to make good money, after the previous extreme lows which most of us missed out. But, here again, I am not proficient in that way. But I wish to be…. Let us see, how people buy stocks? A large part of retail investors buy stocks while the market moves to north. The intention is to take positions before market reaches in higher levels. When a crash occurs, most of them sell out their entire holdings irrespective of company potentials, cause the scarcity to further declines. Probably these people pay heavy brokerage almost nearest to their gains in long run. Some investors take their positions in upcoming market and sell out on nominal gains. If a crash occurs and stays for longer time, they even divert their funds to other investment options. These people never wish to stay their money idle. A very few category of investors get pleasant while market is crashing or on inconsistency. They always keep a considerable portion of their money idle and sit on it calmly. When market crashes, or in between sucker rallies, they put their money and manage exit meeting their pre-assigned target with legitimate profit before next crash. It is the best strategy for short term traders, but not practical for everyone . Some people buy stocks in batches while market crashes or responds erratic, sucker rallies bring the market again in heights, they stay calm, they wait for the next more solid crash to get the same stocks (on which they have downright faith) in lesser prices. They accumulate their favourite stocks in more genuine prices. These people come normally in the category of patient long term investors and who actually makes money in the real depth. I wish to be here. Moreover, interested to deal with people who keep this mindset. I am always in favour of long term or patient investments, but I truly respect few day traders who make consistent gains. I personally know few such smart and hardworking guys. They work hard to keep pace with the market and doing extensive research before play the game. They unearth some positive news, collect maximum details on the news, company details, graphs, charts etc.. Then put their money with brave heart. Probably the result will be fruitful according to the positive reaction to the news/info. These are the people who benefits maximum from the minimum time. A real intraday trader should have an immediate decision making capability, utter braveness, a solid background for high risk tolerance, good knowledge on the scrip/company, charts/graphs, resistance levels, awareness of the farthest possible reaction levels etc… If you have it in you, go ahead and try your luck. But, majority of my intraday friends are on the other side. They sit in front of the system by around 9 am or before. Looks like preparing for a 100 Mtr sprint. With 2-3 mobile phones (to avoid chances of missing even a single tip from their most [un]trusted sources) to receive tips, resistance levels, entry prices, intraday targets etc.. Or, some of them closely watches the initial moves of indices, and put their/broker’s money blindly… Usually, most of the days happens bad for them. Any slight negative news usually brings the market to heavy collapse and they compelled to sell out on lose. Sometimes, the market goes up, but the scrip they bought to south only.... Most of them cannot even deliver good stocks because they usually play with margins. The interesting thing is they surely discuss their sporadic gains with us, which rarely occurs, but the loses never. Next day they sit again to recover the earlier lose with a fresh guy’s tip mostly paid ones. I think its enough for now, usually I am hesitate to read lengthy contents, so hope my readers too. I have recommended considerable number of stocks through this blog to my readers. Today, I wish to recommend bit more beneficial support in the nature. It is a casual converse where I wish to introduce few best blogs/sites/links to my readers. I was in thought of such a post since few months, but I decided to do it right now, in response of certain queries from one my reader. The intention is clear, that I wish everyone have a close read to the following rich links who desires to approach the market in a legitimate way. I respects these people (blog owners) on the basis of their knowledge, experience and fidelity rather their degrees. I wish to appreciate the other side too, the generous effort to help the investing community without any fiscal anticipation. It is a blog of Mr. Yogesh Chabria. I consider him as an outstanding personality in the segment and totally different from the crowd. I like the manner of his presentations which injects verves in your nerves. (I felt so…) He is one of the rare cerebrals I respects in the multitude of market experts . I don’t think I am proficient to rule out any of his posts. Find time to make a read to his entire posts or try in leisure. You will surely feel bit different. Blog of Mr Kumaran Seenivasan, A true professional in the segment and I am following since the blog’s inception. I would not like to extol more about his articles considering the scope of misinterpretation of my intentions, but wish my readers must have a staid look to the following praiseworthy links. A lot more are there, but I am selective to assemble the basic but significant concepts to freshers. I have to introduce few more blogs in this row, but next time. I wish to discuss about the multibagger concept again in the wake of recent market budges. Basically the concept is one of my close preferences and I am always keen to monitor such episodes in the market. For any investor, buying stocks which can be multibaggers are the most appealing option. But how does one spot a multibagger. So far, the question is unanswered. You may get more confused after reading this article and I am really sorry for that. Probably, we talk about the multibagger concept with a long term outlook, but sometimes it happens with in no time, where all the fundamentals, technicals, industry perceptions, growth perspectives, economical supporting scenarios, managerial competence and other related elements, everything or few of them befalls claptraps. I would like to share my findings on such a juncture, none a surprise, but it is there. I have an excel sheet of BSE stock prices on 02nd April 2009 in my archives. I usually keep the entire price list of certain days for a future review. I was analyzing the performance of various scrips comparing with the prices of 20 October 2009 as part of my homework. It is really surprising and the findings are mind-boggling. I found such scrips which earned more than 1000% returns in just 6 months, more than 2200% return in a year. Is it possible? I am trying hard to make believe my eyes as it is unusual in the market with in such a short span of time. Right now, I am not paying attention to discuss the exact reasons behind such rocket moves, rather I wish to state my findings and figures as well. Please rectify me if anything noticed wrong and I shall grateful for that. I am not sure about the exact number of stocks listed in BSE, but my analysis based on the stocks traded on or between 02 April 2009 and 20 Oct 2009. We have to keep in mind that the accrued overall gain by BSE Sensex for last 6 month is around 115%, from the lowest 8000 levels to ongoing 17000 mark. And let us compare the findings with this as a benchmark. I have placed the details of 5 toppers above. I would like to state again, I am not yet scrutinized the exact reasons behind such rocketing of scrips mentioned here, whether it was related to speculations or anything else. I am examining one by one to find the probable reasons behind such unbelievable darts as well as their sector profiles. The list is lengthy and I will certainly provide some brief statistics on the same. As a common trend, the majority of scrips comes under Small Caps (almost 80%) which seized more than 300% gain in a 6 month duration. The single highest category of gainers is from small non banking institutions involved in financial sector, but most of them are unheard. The majority of Mid caps restricted with a decent gain of 150 – 300%. A large number of gem penny stocks are also played their roll well in the team with more than 400% gain. I wish to conclude this post as it is getting lengthy, but will share this data to my regular clients for free of cost by mail. Readers are requested to comment whether negative or positive which encourage me to bring more in this row. The above information is a pure history and I am not responsible for your investment decisions based on the data above. Please do your own research before make any investment. Wish you all and family a happy, prosperous and sweet Diwali. I wish to recommend a scrip to readers as well to my clients as my present for this Diwali. The scrip is sweet indeed as the company involved in the field of food processing including fruits and Vegetable. One more imperative reason to suggest this stock as it comes under one of my much preferred sectors, Agriculture! the only sector, which have'nt a way back. India with its population of about 1.10bn people, growing @ 1.6% pa is a colossal and growing market for food products as well as other processed eatables. Spending for food is the single largest element of personal consumption expenses. The increasing numbers of modern retail stores are itself the sign of high growth rate of Indian retail revolution. The consumer lifestyles are changing drastically with an increasing need of eased and hygienic edibles. All of the above factors will help to grow the underlying demand for the convenient food whether it is fresh or frozen. Above all, the role of food processing and preservation becomes significant since agricultural production is targeted to double in the next 10 years by Govt of India. Temptation Foods Limited (TFL) established in 1991, affianced in the frozen processed fruits and vegetables belongs to Agricultural Sector. The company uses the most modern IQF (individual quickly freezing) technology for preserving the products. TFL has established it’s modern processing facility in the midst of fruit and vegetable farming zone at Jejuri, Pune. The plant involved in deep freezing of mangoes, pineapples, papayas, melons, grapes, strawberries etc. TFL also processes a variety of vegetables like green beans, green peas, cauliflower, okra, corn, carrots, chillies(red and green), ginger-garlic cubes, samosas, parathas, paneer products and a variety of other ready to serve eatables. The company has an Installed capacity 4000 MT for IQF Frozen Fruits & Vegetables. TFL processes a variety of vegetables and fruits for the Indian markets and also exports to several of the biggest brands in USA, UK, Europe and the Middle East. The company has acquired the Everfresh brand of frozen Fruits and Vegetables from the K. K. Birla group in November 2007, one of the biggest domestic brands in the segment, Everfresh has reached in the top line of Rs 200 million in 2007. Ever Fresh offers quality IQF products over 50 types of vegetables and fruits such as French beans, carrots, cauliflower, coconut, sweet corn, tapioca, mixed vegetables, okra, spinach, karela, green peas, drumstick, brinjal, onions, Green Peas, American Sweet Corn, Baby Corn, Broccoli, Palak, Sarson ka Saag, Shredded Coconut under Delika brand name and different varieties of fruits like Alphonso Mango etc.. The company also processess, fig and orange, strawberry, chunky orange marmalade, plum, mixed fruit, and peach; sauces, such as pizza, Italian pasta, Szechwan, and Mexican salsa sauces; and dressings, including eggless mayonnaise, garlic mayonnaise, whole grain mustard, Italian salad dressing, French dressing, fresh mayonnaise, and sandwich spreads under Karen Anand brand name. The company has recently introduced combination products like Gajar Mattar, Mattar Paneer, Aloo Mattar etc. Ever Fresh farm products are procured from Haryana, Punjab and the Terai region, the heart of the Northern Agri-belt of Western India. The farm produce is plucked and processed with the IQF technology within 24 hours. The products are then packed in unique food grade packaging at -20 degree C. The company claims that 'Ever Fresh' range of products are processed and packaged without any chemicals and preservatives and meets the national and international quality standards including FPO. TFL today represent one of the biggest organized publicly listed companies in this sector. The Karen Anand range of gourmet products has also become a part of TFL’s list. The company produces the Karen Anand range of products at their plant in Jejuri near Pune. TFL processes Fruit and Vegetable produce at 6 plants: Sonepat, Karnal, Rudrapur, Kashipur(2 plants) in North India and Jejuri in West India. The plants have a combined annual capacity to process, pack and Individually Quick Freeze (IQF) over 60,000 tonnes of Vegetables and Fruits. TFL’s installed capacity of above 30,000 Tonnes is the largest company with such facilities in the country. Similarly, in-plant cold stores have a combined capacity of over 5,400 MTs again the largest such cold storage in India. The company procures fresh fruits and vegetables mostly from the Terai region in North India and the Agriculture Produce Market Committee (APMC) of Mumbai and Pune. The plants are strategically located in the heart of the agricultural zones. TFL is the first Indian frozen food Company to get ISO 9001 certification. The Company also has International Quality Accreditations such as the HACCP and RINA ISO 9001:2000 approvals. TFL exports 90% of their products, however the company has recently started supplying goods domestically under the Everfresh brand. Nearly all large domestic retail chains are TFL clients. This segment includes retail chains like Metro, Shoprite, Big Apple, Spencers, Reliance Fresh, Spinach and Food Bazaar. I expect substantial multibagger returns from this scrip with a 2-3 year term. The current valuation and growth prospects are really attractive. The food processing sector becomes significant as agricultural production is targeted to double in the next 10 years by the Govt of India. It is expected that the fast growing retail chain spectrum is an added advantage for the company for bulk orders from the retail giants. The increasing population and changing food habits even in urban areas will surely beneficial for the company. The recovery symptoms from the recession turmoil must increase the consumption by foreign/domestic clients. TFL comes under a distinctive class in this sector as well as keeping an enhanced reputation in its clients. A bit of speculative history is there with the scrip but still I expect Its a safe bet for long term. Readers are requested to place their comments on the scrip. I am not responsible for your investment decisions, please do your own research before make any investment decisions. Warren Buffet, the second richest man in the globe who has donated some $31 billion for charity. I think he is real legend in humanity too. He bought his first share at age 11 and he regrets now that he was too late! He remembers, things were very cheap at that time. He bought a small farm at age of 14 with savings he accumulated from delivering news papers. He still lives in the same small 3 bedroom house in mid town Omaha that he bought after he got married some 50 years ago. He says, he has everything he needs in that house as a human being. The house does not have a compound wall or fence. He drives his car himself everywhere and does not have a driver or security people around him. He never travels by private Jet. He owns the world’s largest private Jet Company. His company, Berkshire Hathaway owns 63 firms. He writes only one letter to each of his CEOs in a year, specific to the goals for the year. He never holds meetings or calls them regularly. He does not socialize much with high society people. He prefers to watch television in leisure. Bill Gates, the richest (busiest too) man scheduled to meet him for half an hour, but the meeting lasted for some 10 hours. Stay away from credit cards/Bank Loans. Don’t do what others say, listen them, do what you feel good. Don’t go on brand names, just use those stuff you feel comfortable for you. Don’t waste your money on unnecessary things; spend on them which are necessary. After all, it is your life; never give a chance to others to rule on your life. I have not been recommended any stocks through this Blog since April this year. The lopsided market trends, official engagements as well as the homework for my Portfolio Advisory Services constrained me to publish a post in the kind. We have seen numerous ups and downs during this period. Some of us made decent gains, some missed the bus or some get off from the bus before it reaches the probable destination, and a few still waiting for a better time to make an entry to the market. Any way, I would like to recommend one of my favorite and emerging stocks for my readers/clients. This scrip, which I already have recommended to few of my clients between May-July this year at 70-120 range. Please stick on, if you are not yet exited, else you can still accumulate this gradually at the range specified below. I would like to request you to go through one of my previous article related to the subject before you read these lines, will make a better idea on this amazing sector. Prepare your sense to hold this stock, a 3-5 years minimum, or practice patience till matures the 3G spectrum as well the upcoming mobile/wireless technology standards. In 1989, Silicon Automation Systems (SAS) started in a small warehouse in Fermont, California as a dream project of Mr Rajiv C Mody (Chairman&CEO) with 2 other co-founders, Suresh Dholakia and Badru Agarwala. Later the company's name has changed to Sasken Communication Technologies Limited(SCTL). The name 'SASken' is a combination of its original name (SAS) and the Scottish word “ken” means knowledge. SCTL offers an amalgamation of Research and Development Consultancy, Wireless Software Products, Software Services and Network Engineering Services. The company has a worthy range of clientele, in the fields of Network OEMs, Semiconductor Industry and Terminal Device OEMs across the world. Sasken employed more than 3,200 professionals at its offices worldwide, has repeatedly featured among the Best Employers in leading industry surveys. The happy workforce with innovative mission. The company headquartered in Bangalore, Global Development Centre (called Fac-Z) with 4 other development centers in the city, Bagmane (Fac-B), Hosur Road (Fac-W), Domlur (Fac-M) and Outer Ring Road (Fac-A). SCTL also has development centers at Chennai (Fac-C), Pune (Fac-P) and Hyderabad. The company also has offices in Kawasaki in Japan, Santa Clara, Plano and Burlington in USA, Monterrey in Mexico (Fac-Mx), Saint-Laurent-du-Var in France, Frankfurt and Bochum in Germany and Guildford in UK. Most of its foreign offices manages the sales/marketing operations. In addition to being engaged in the development of a variety of technologies, Sasken is a member of premier technology forums/bodies including ITU, 3GPP, GCF, MPEG-ISO, WiMAX, NFC, DLNA and ATM, DSL & SDR forums. Sasken is a SEI CMM Level 5 certified company and its solutions are qualified by ISO 9001:2000, ISO 27001 and TL 9000 certifications. Sasken’s Wireless IP spread on more than 50 models and over 50 million phones across networks in Australia, China, Europe, Hong Kong, Japan and Taiwan. SCTL’s Test Lab has become the first and only Test Lab in India to be ISO/IEC 17025:2005 certified for Handset Protocol Conformance Test (GSM,GPRS,EGPRS,SIM/STK) Services. SCTL products/services caters to big Network Equipment Manufacturers (both wireless& wire line), Semiconductor Manufacturers who supplies to Telecom Market, Wireless Terminal Product vendors and Test and Measurement Equipment vendors around the globe. The company offers services for planning, deployment and managing Wireless Networks to Network Equipment Manufacturers and Wireless Service providers. Sasken also offers software services for development and maintenance of various software components required for execute network support system in the field. The company powers the Semiconductor industry with IC Design services and Silicon Platform Software services. The IC design Services include Design, Verification and Integration of Integrated Circuits, the SPSS covers, design & testing, maintenance/sustenance and integration of software around the chips. Softwares are emerging as the principal factor in the next-generation wireless terminal devices, delivering a wider range of utility applications and experiences to the users. Mobile Terminal Softwares are critical to the realistic performance of Terminal Equipments, yet these are complicated and expensive to build up, consumes a lot funds of handset manufacturers. 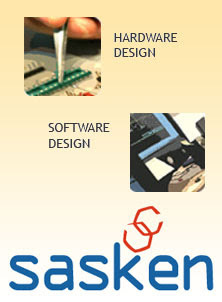 Sasken provides software solutions for 2G, 2.5G and 3G technologies, offering a range of platform independent, standards compliant Wireless Protocol Stacks, multimedia codecs, middleware frameworks and applications to boost the product range, helps the firms to come up with high end handset varieties in short span of time. The Symbian Competence Center at Sasken provides licenses of Symbian OS, Series 60 & UIQ with Component Design and Development, Software Porting, Integration as well as Testing Services. Sasken’s expertise ranges across wireless technologies, hardware platforms and multiple Operating Systems. SCTL also mastered in existing wireless technologies including TDMA, CDMA, GSM, GPRS, EDGE, 3G, IS95 and 802.11b The company with its wireless experience, offers High-End Consultancy services in the area of emerging wireless technologies such as Seamless Mobility and Fixed Mobile Convergence. As of now, Sasken is the largest Silicon IP vendor in India. In March, 2009, Sasken has entered in an agreement with Inmarsat , the leading provider of global mobile satellite communications services, to complete development of the next generation global satellite hand-held phones. Sasken and Inmarsat have working together for more than five years in the area of mobile satellite communications. Inmarsat has preferred Sasken, to design and bring into pre-production the complete phone, which would include the hardware component comprising design, development & testing of antenna, RF and Mechanical Elements and the Software Component Comprising Protocol Stacks, application framework and test lab offerings. This engagement is first in its nature for an Indian company to be involved from the basic design phase up to producing pre-production units. I have a strong faith on this sector and believe, Sasken will do miracles in coming days. Sasken is an undisputed emerging player in this segment with tremendous growth perspectives. I dream that, being the licensees of Symbian OS (The platform referred as future Operating System for Mobile applications) and the ongoing venture with Inmarsat will bring Sasken to new heights and these projects may guide this scrip to a real multibagger with in few years. Accumulate! Readers are requested to comment whether negative or positive, as I am eager to know what you think on the above information as well as about the recommended scrip. I am not responsible for your investment decisions; please do your own research before make any investment. 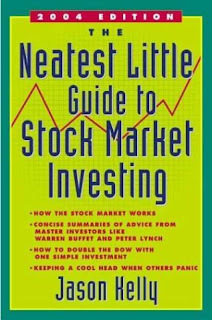 I wish to introduce one of my favorite books associated to stock investments. “The Neatest Little Guide to Stock Market Investing” by Jason Kelly. The book is much discussed and is a best seller in the category, my intention is to propose this book, as an essential read for every new and young investors. I strongly recommend all those to make a read who are related anyway to the market with an intention to make money. 1. How the stock market works. 2. Concise summaries of advice from master investors like warren buffet peter lynch and bill miller. 4. Keeping a cool head when others panic. The book is basically targeted to novice investors, but by the end , author has taught several advanced expert level strategies that will ensure wealth for anyone who follows them diligently. The author explained the modus operandi of stock markets and simple techniques related to investment strategies. The book is streamlined to the final objective to making money with few clear cut revelations of various strategies. The author stresses on few basic, but important aspects related to investment. First of all, an investor should know, why he is investing in stocks where such a variety of investment options available with lesser risk profiles. Kelly spell out one of the logical reason to invest in the stocks, as you can become a partial owner of big companies which you can not even dream out. He also establishes the stocks as the best investment option in entire category with a long term view. The book also trying to convince some significant technical terms in simple lingo, like Return of equity, Price/Sales Ratio, Price/Earning Ratio, EPS, Net Profit Margin, Price/Book Ratio, Return on Equity and lot others. Its also elaborate the basic concepts related to technical analysis. One core portion of the book is trying to exclusively discuss the strategies and investment techniques of the investor giants like Warren Buffet, Benjamin Graham, Philip Arthur Fisher, Peter Lynch, William O'Neil and Bill Miller etc. Every stocks have a business value as well a market value. The market value is the same referred as CMP. We can buy any household items/garments with a considerable discount when a stock clearance occurs in any of the shops/brands in festival seasons or so, like wise we can buy stocks in good valuations than their original worth in certain junctures. Market always avail such chances irrespective of the trends. This strategy generally termed as Margin of Safety. Benjamin Graham is known as the father of this strategy. The book reveals investment related myths and tips of market legends in simple and with logical examples. Jason Kelly also illustrates one of the famous strategies to make good returns from the market ie. Dow Dividend strategy. This strategy is treated as one of the most effective technique by decades. He also explains his own other extremely effective strategies like Doubling the DOW and Maximum Midcap etc. He also placed a comparison on returns between his Maximum Midcap, Double the DOW techniques with DOW. He establishes, if someone invest a $10000 in DOW on 31/12/2002, it was around $14805 by 29/12/2006. But, if that investment applied with his own theories like Maximum Midcap or Double the DOW, the amount could have around $29457 and $19642 respectively. The logic can applicable to our market too. Kelly makes the market easy to understand, exciting, and even incorporates some comedic pitch throughout the book. Although not trying to convince the readers that you can become a millionaire overnight, instead focusing on the proved formulas and strategies that will give an investor the lowest chance of loss and the highest chance of gain. He covers what has worked, what has not and what legendary investors experienced. He also summarizes similarities between those legendary investors. The book lights on, how you can search and find out best stocks for good earnings in long term. It is also discloses, how to spot or avoid stocks which are under possible risk roofs. I would like to sum up… It is a simple, intelligent and highly effective approach to investing. I can say from my own experience, the book is an invaluable resource for new and young investors. "Jason Kelly captured my investment methods well, and better than most who have tried to describe what I do." Readers are requested to comment whether negative or positive which encourage me to do some more in this row.